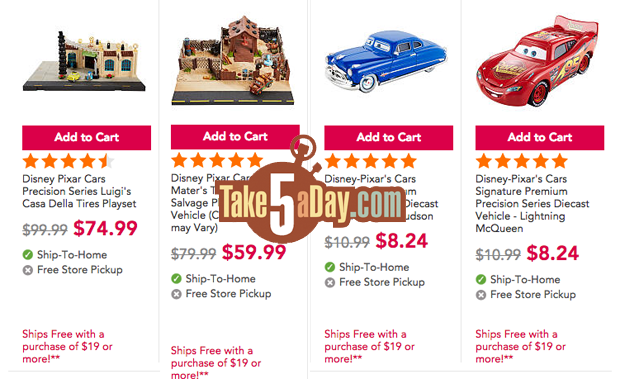 When I posted the coupon code PLAY for 30% off, Good November 19, 2016 TODAY ONLY, there was not much for CARS at Target.com but they added a bunch of 2-packs since Thursday (and raised the prices) but there are some hard to find 2-packs that with the 30% coupon are above the original retail but close enough and hard to find at the original price … and if you have a RED CARD, you get another 5% off. Sign up or sign in through our T5 link at eBates. After purchase, you get a rebate AND for NEW MEMBERS, get a $10 GIFT CARD! So, go to eBates first and then search for TARGET. At Shop.Mattel, they are offering 25% OFF your entire purchase if you buy 4 items. This sales ENDS tomorrow November 20, 2016. It seems if you have at least 4 items in the cart, you get 25% off everything, no coupon code necessary. Same Deal – Sign up or sign in through our T5 link at eBates. After purchase, you get a rebate AND for NEW MEMBERS, get a $10 GIFT CARD! So, go to eBates first and then search for MATTEL. 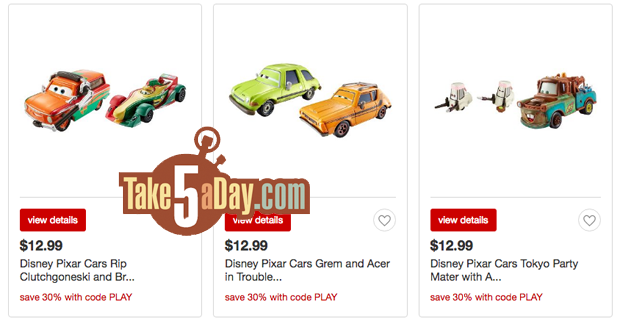 (or if you are already there, search for Mattel – your purchases are NOT through eBates but through each store, eBates is just the starting point if you want the rebate). They have the Precision Series singles if you haven’t gotten them yet – 25% off is a good deal. 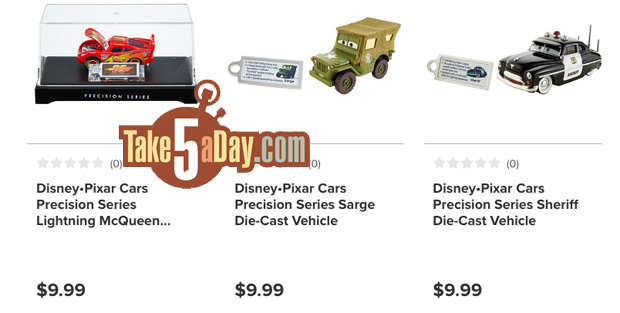 I think they only have one of the Precision Series playsets but a range of CARS but also a lot of PLANES singles … and of course, plenty of other toys. TOYS R US – Update. Forget that “John H.” sent the TRU sale also. About 25% off and you don’t have to buy 4 items (unless you want to). 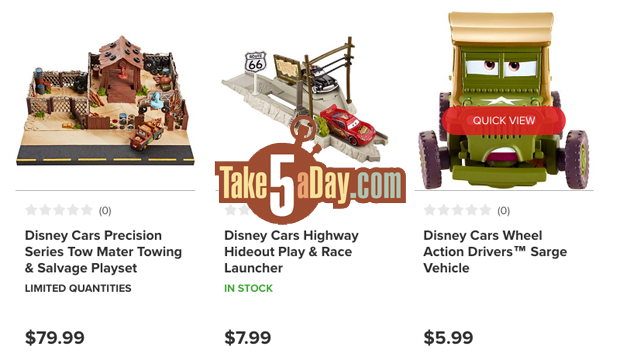 So, go to eBates first and then search for TOYS R US. Retailers offer a cut of purchases for websites bringing them new/repeat customers* – eBates rebates you a portion of that take … for instance, website affiliates get paid from 5% to 8% for bringing in a Target.com customer … so eBates cuts you in on that – I think 2.5% back to you … it’s not bad for you since unlike old school rebates where you have to mail in anything, you just have to go to one extra site – ebates – you don’t have to do anything different or extra … though I think ebates only pays you “back,” every 90 days? * TakeFive is an affiliate with a bunch of retailers so if you use our link, you’re supporting T5 … and yes, eBates pays us to bring you in so it’s the circle of capitalism.  Help us help you … to help us  Of course, as a site mostly devoted to helping you buy diecasts and toys … we’re only doing our part).